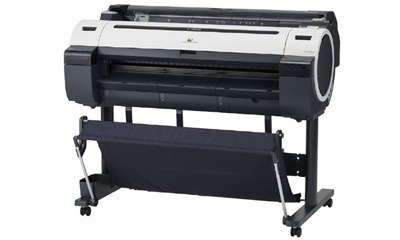 The 24″ imagePROGRAF iPF680/685 is an ideal large-format printing solution for personal and small workgroup users in education or office markets. 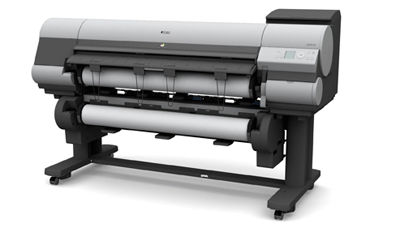 Built for speed, quality and ease of use, the iPF650/655 is a versatile solution designed to simplify large format printing. The unit offers the only dual-channel matte black carriage option. The iPF680/685 also comes with 320 MB memory, and the iPF685 comes with a 32 GB hard drive. Built to be more efficient and productive, these new imagePROGRAF models introduce the ability to horizontally stack 24” x 36” plots, ensuring that they stay flat and organized. All four of the new imagePROGRAF models also ship with a new interface lock system that enhances the security functions and provides administrative control to determine who has access. There is a hard disk drive capacity of 320 GB, 32 GB is dedicated file processing memory. 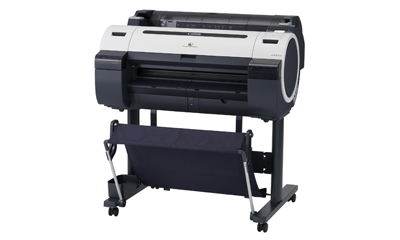 Built for architects, engineers, GIS professionals, and other high-end technical documents users, the 36″ imagePROGRAF iPF785 MFP is a powerful imaging solution designed to meet the demands of medium to large workgroups. With incredible line definition and accuracy, high-speed-throughput, and a large, simple-to-use touch-screen interface, the iPF785 MFP is an ideal solution for any professional with a need for scanning, copying and printing. A 44-inch wide powerhouse printing system designed to enhance productivity for medium to large workgroups, with 2 rolls and high speed throughput, the imagePROGRAF iPF820/825 is a complete production printing solution. With incredible line accuracy, and an 160GB hard drive, the iPF820/825 is a complete printing solution for any professional with a need for producing intricately detailed full-color renderings, CAD drawings, and GIS maps. 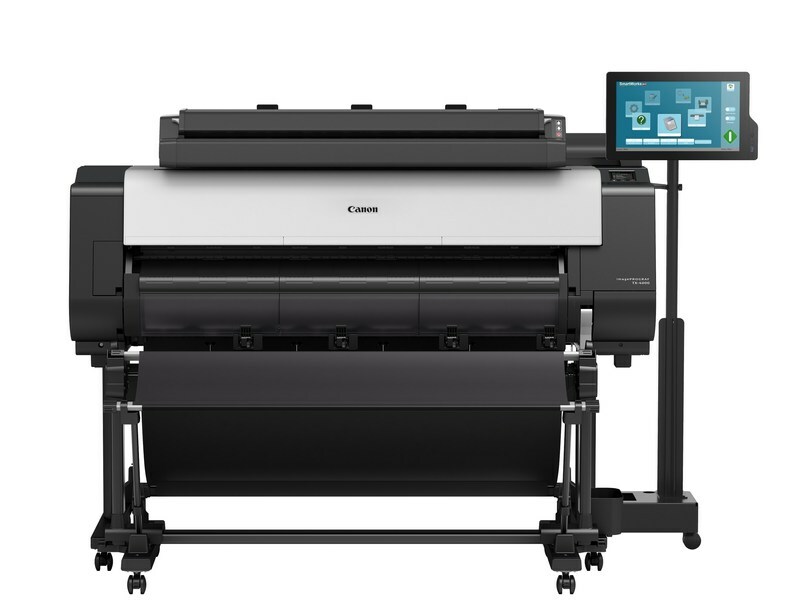 Introducing the machine that Canon calls “the next standard of engineering” – imagePROGRAF TX-3000 & TX-4000. 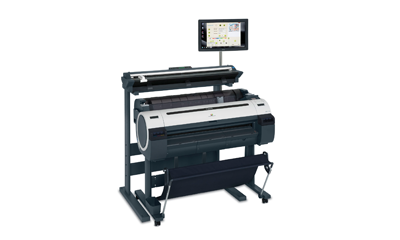 Developed for high performance, the TX-3000 (36″ model) and the TX-4000 (44″ model) feature an all-new 5-color TD pigment ink set. This ink was formulated to produce fine lines and sharp text on both inkjet and non-inkjet paper. Combine this pigment ink with water resistant media and you have a printed drawing that can withstand the outdoor conditions of a construction site. Need it to come with a scanner? Absolutely! 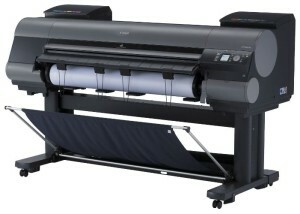 Canon offer this machine as an MFP model, as well. The 44″ imagePROGRAF ipf8400 imagePROGRAF utilizes a powerful print engine ideally built for professional print service providers who need to produce more output in less time. High speed throughput, a 250GB hard drive, and borderless printing, are integrated into an efficient production printing system engineered to produce high quality work, at a lower cost and in less time. The innovative 12-color LUCIA ink configuration helps increase print efficiency and creates dynamic colors and tones that are ideal for production graphics applications.